← Slow Wine – A New Italian Wine Guide that Looks Beyond the Glass! 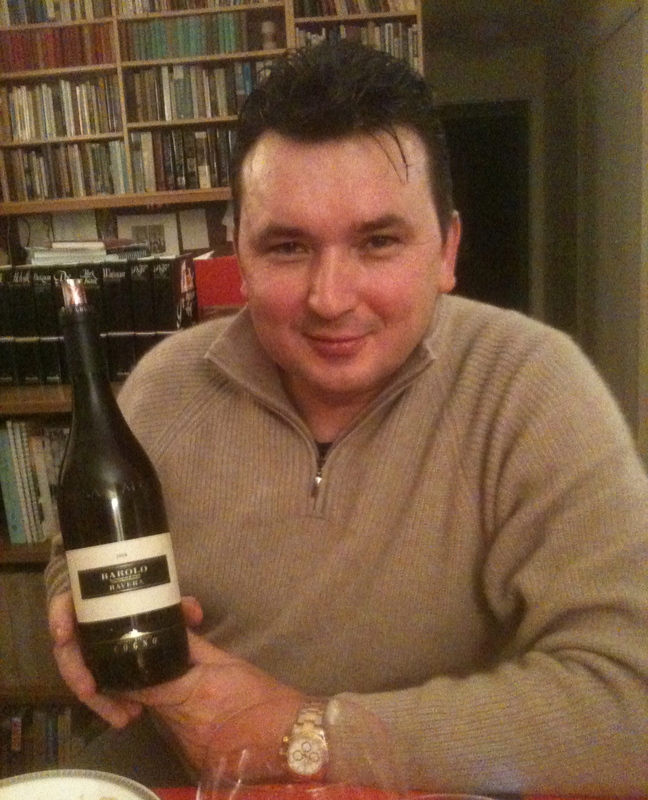 Elvio’s son-in-law Valter Fissore is now the winemaker for the Cogno winery. Over the years, I have gotten to know Valter and his wife Nadia. I would see them often at Vinitaly and have visited them at the winery, most recently in November 2010. Since Valter would be in New York City for the Gambero Rosso “Three Glasses” tasting recently, I asked him if we could meet. He invited me to visit with him and taste some of his wines, including four Barolos. The Elvio Cogno Wines of Walter Fissore. We spoke about Barolo Valters favorite subject. Valter said that his vineyards have all three subvarities of Nebbiolo: Michet, Lampia and Rose but he does not use all three in any one of his wines. He feels that 2008 was a great vintage because it was a very cold winter and the harvest took place on October 20th. The wines have a higher PH than other vintages but also good acidity. Walter felt that that 2008 would make well balanced elegant wines. 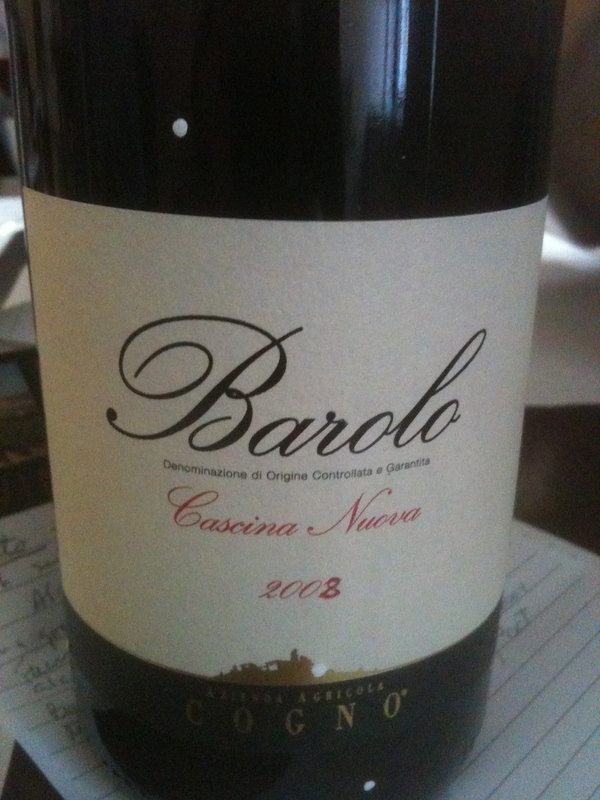 Barolo Cascin Nuova 2008 DOCG made from 100% Nebbiolo. The vineyard is 1.5 hectares and is facing south. There are 4,000 plants per hectare and they are vertical trellised with Guyot pruning. Vinification takes place in temperature controlled stainless steel stainless steel tanks with automatic pump over. The wine is aged in large oak casks for two years and six months in bottle before release. Valter said that this was a Barolo from young vines and one that could be easily enjoyed and understood and is ready to drink sooner. Barolo Ravera 2008 DOCG made from Lampia and Michet. I tasted this wine from the barrel when I was at the winery in November 2010. It reminded me of Pinot Noir. When I tasted it this time from the bottle it was much less Pinot Noir like and was developing into a great Barolo. 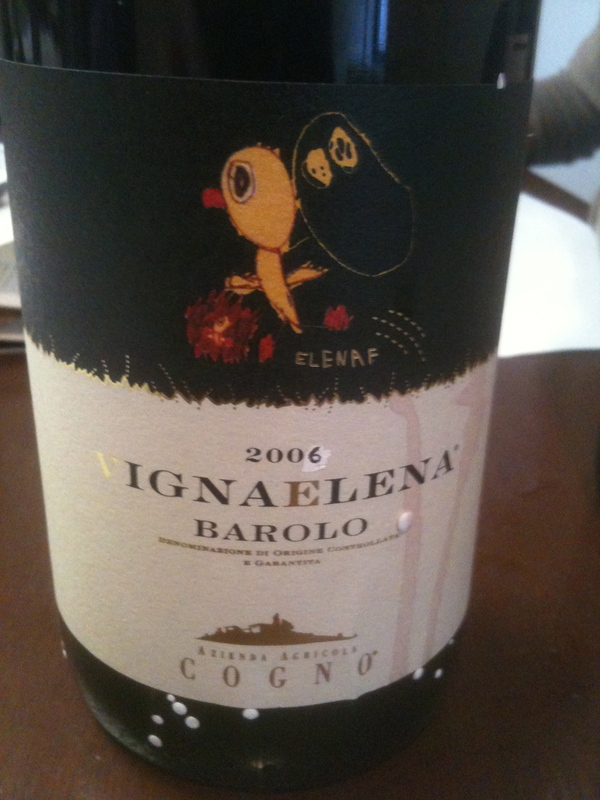 Valter said that this was a traditional Barolo in the style of Elvio Cogno, powerful and elegant. I believe this is Valter’s favorite. 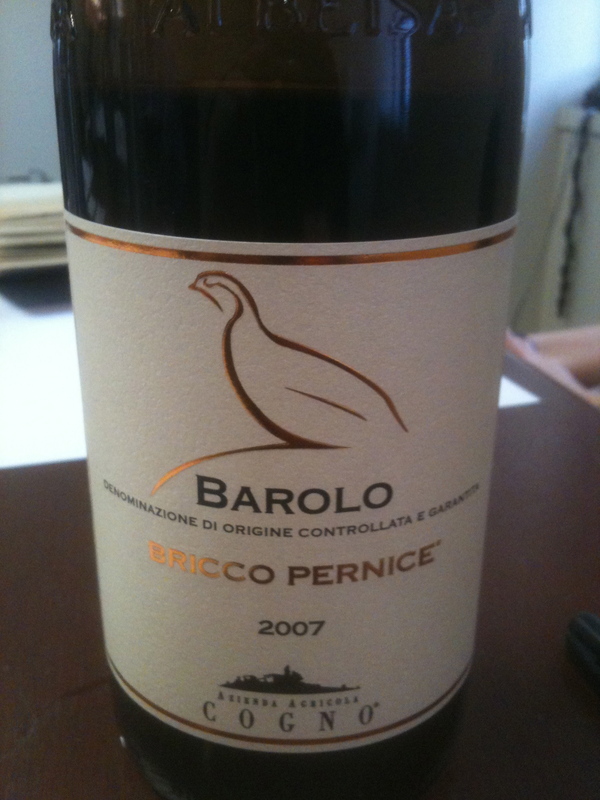 Brico Pernice 2007 DOCG made from100% Lampia. This Valter called a Classic Barolo. It is more tannic and needs more time to be ready. I tasted this wine last year and it has not developed much. Barolo IGNAELENA 2006 made from 100% Rose- the label for this wine was made by Valter and Nadia’s daughter when she was a young child. This was my favorite. Valter said that he is primarily a producer of Barolo and he produces Barolo without compromise. He produces a Barolo as it should be and not for the international market. I find his Barolos to be balanced with elegance and finesse and to be some of the best produced today. That night we had dinner with Valter at the home of mutual friends. Valter brought a Barolo Brunate Riserva 1986 DOC 100% Nebbiolo Cogno Marcarini, a classic Barolo with flavors and aromas of faded roses, licorice, tar, tobacco and a hint of cherry. It is a soft, well-balanced elegant wine. About once a month, I meet with a group of friends for lunch. When they heard I had had dinner with Valter and drank the 1986, they brought some of their older vintages of Cogno- Marcarini Barolo “Brunate” 1978, 1974, 1967 and 1964 to the lunch. The bottle of 1974 that I had at lunch must have been one of the “splendid wines”. It had the best color of all the old wines and seemed to be almost young with many years ahead of it! It had the typical Nebbiolo aromas and flavors of faded roses, tobacco, licorice mature red fruit and a hint of white truffles and a great finish and aftertaste. 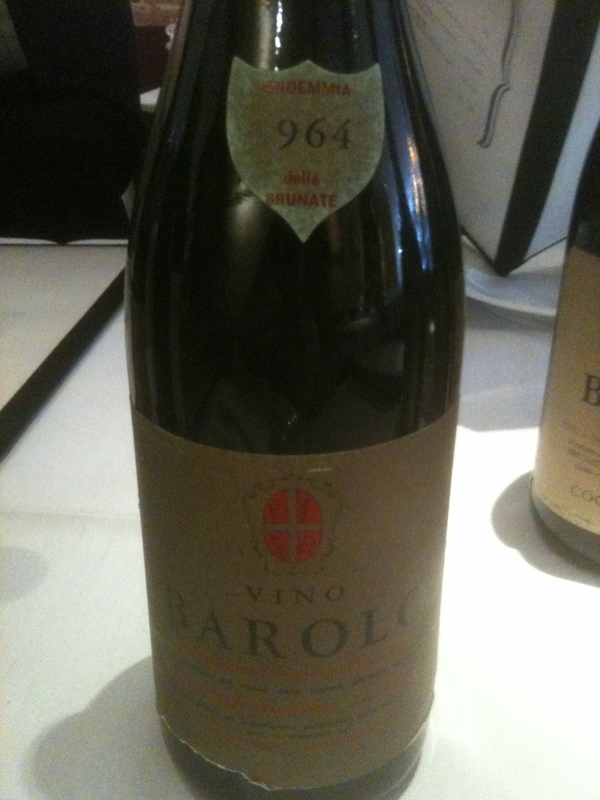 It may be the best 1974 Barolo that I have ever drunk! Wasserman gave the 1978 vintage 3 stars. 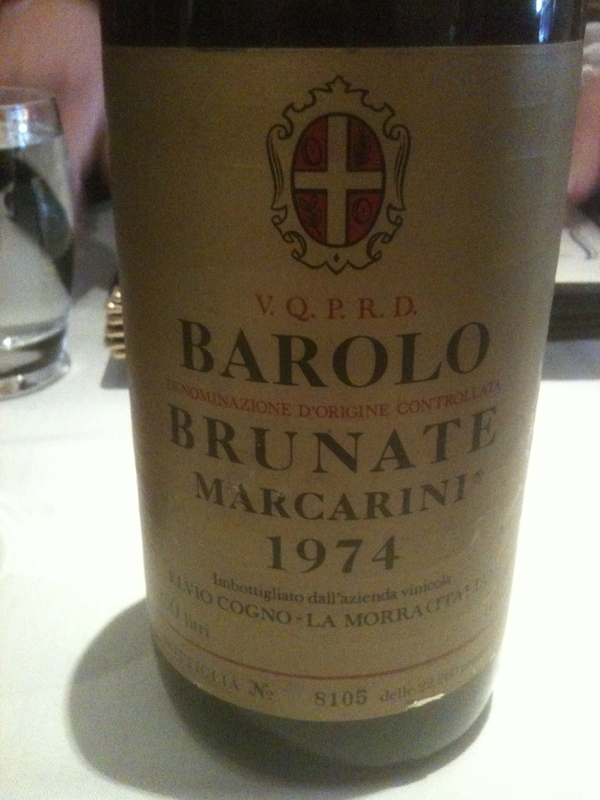 He said that the 1978 Cogno- Marcarini Brunate tasted in 1981 from barrel had “Expansive aromas recalling raspberries and mushrooms, well structured, has style, balance, flavor and elegance; very well made, classic impressive”. He gave the wine 3 stars (possible 4). 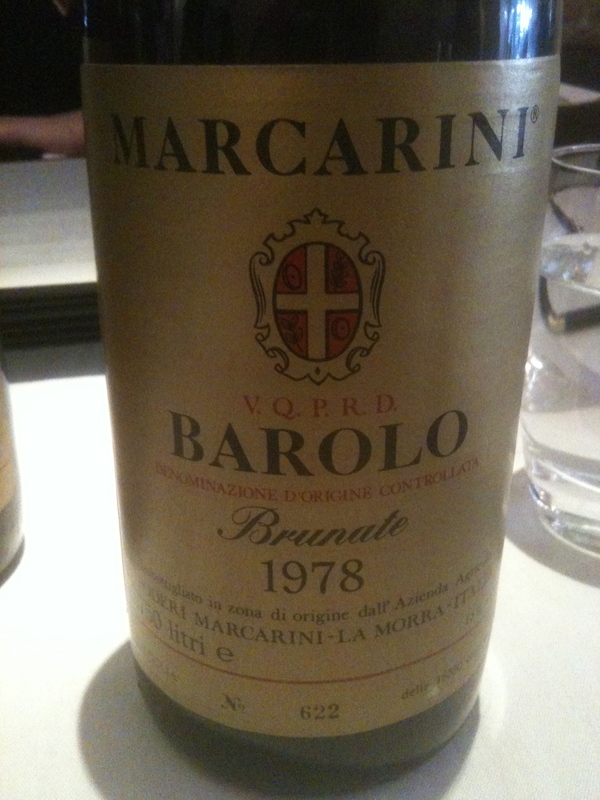 At lunch, the 1978 took a long time to open up but once it did was showing very well but not as well as the 1974. The wine I had at lunch was showing its age. 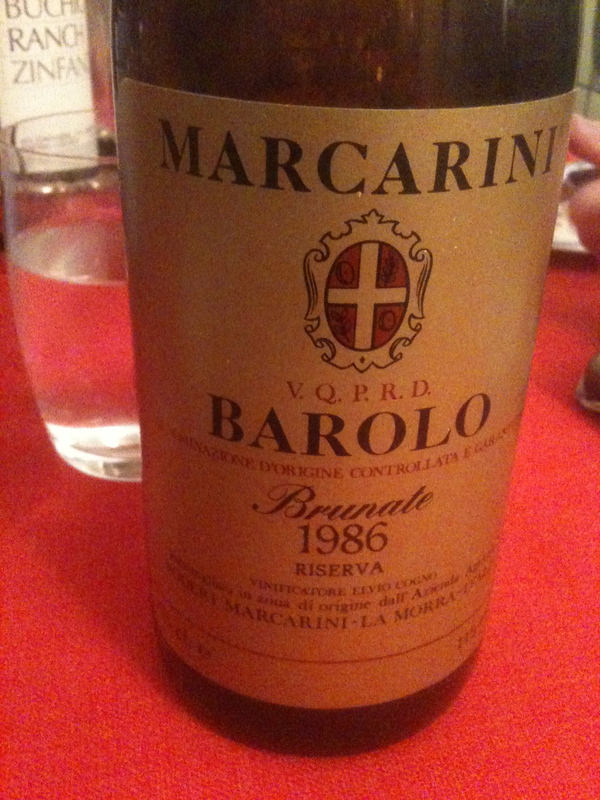 The color was a very light orange and it had flavors and aromas of a very old Barolo. The wine was still drinkable but was not going to last much longer. Wasserman gave the 1964 vintage 3 stars. 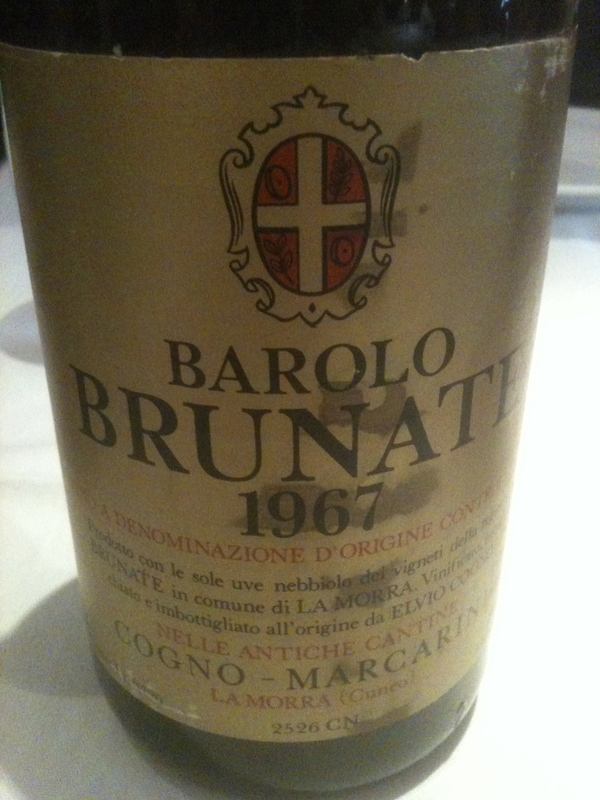 He did not have tasting notes for the Cogno Marcarini Brunate 1964. The 1964 Cogno Marcarini was much like the 1967 only it had a little more life. One point I have to make is that both the 1967 and 1964 tasted much better with the pizza we had for lunch. I love pizza Margarita and Barolo. I am sure that if I tasted the 1978, 1967 and 1964 from different bottles the results would not be the same. I am a firm believer that there are no great wines only great bottles of wine.